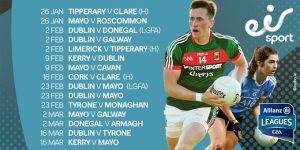 eir sport have today announced details of its Allianz Leagues coverage for 2019, while also confirming it will broadcast two games from the Lidl Ladies National Football League. 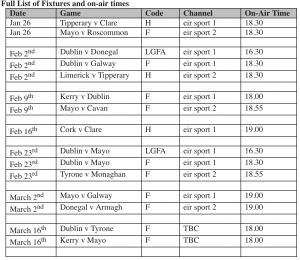 In total, eir sport will broadcast fifteen live games in the coming months with up to three live matches available to GAA fans some weekends. The coverage begins on January 26th on the home of live GAA on Saturday nights under lights. 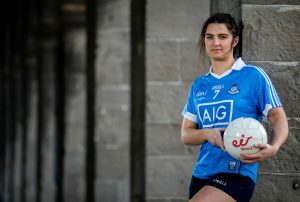 Pictured at today’s announcement is Dublin star Niamh Collins. The live action then continues on eir sport right up to St. Patricks’ weekend. The coverage will be fronted by Máire Treasa Ní Cheallaigh, Anna Geary, Damian Lawlor and Conor Morris with commentary from Mike Finnerty and Liam Aherne. Football pundits include Senan Connell, Billy Joe Padden, Marc Ó Sé, Michael Meehan, Marty Clarke and Aaron Kernan while the hurling analysts’ team will be made up of Tommy Walsh, Eoin Kelly and Seamus Hickey. All of the coverage will be sponsored by Allianz who have come on board as Official Broadcast Sponsor. 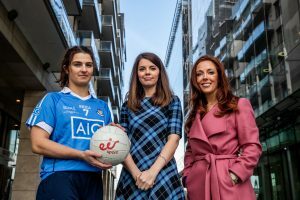 Speaking at the announcement, eir sport Managing Director Susan Brady, said; “eir sport has been the home of Allianz Leagues coverage under lights since 2005 and we’re delighted to offer GAA fans more choice and content than anywhere else on Saturday nights. eir sport is the only place to see exclusive live coverage from the Allianz Leagues on Saturdays. The 7 channel eir sport pack includes eir sport 1, eir sport 2, BT sport 1, BT sport 2, BT Sport 3, BoxNation and BT Sport ESPN. The eir sport Pack is available on eir Vision, on the eir sport App, on Vodafone TV and on Sky in the Republic of Ireland. eir broadband residential customers can receive the eir sport pack for free.